Malling Juno - Firm, large, mid red berries of very good sweet flavour. Spine free with good disease resistance. Harvest late June-early August. 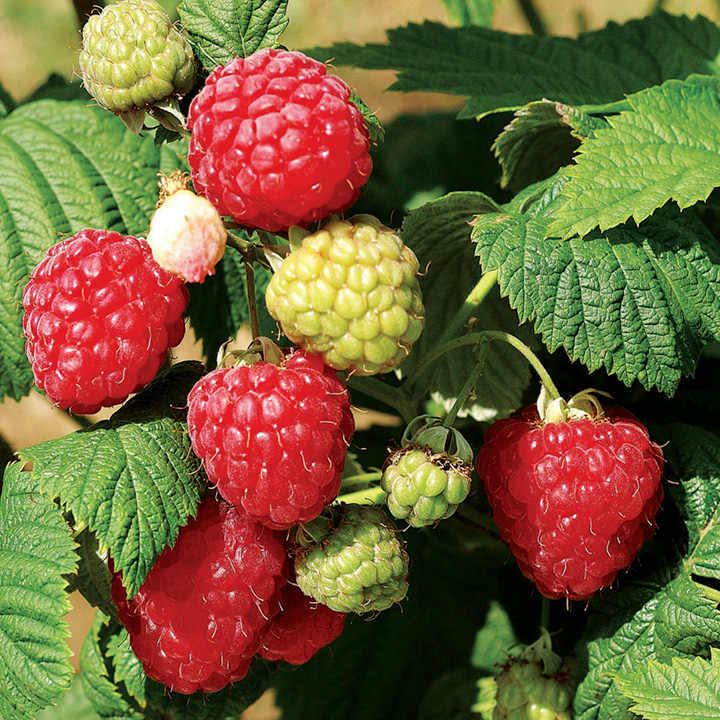 Octavia - This reliable raspberry fruits in the gap between the summer and autumn fruiting varieties, producing a bountiful harvest of large, firm, uniform fruit from mid July to early August. 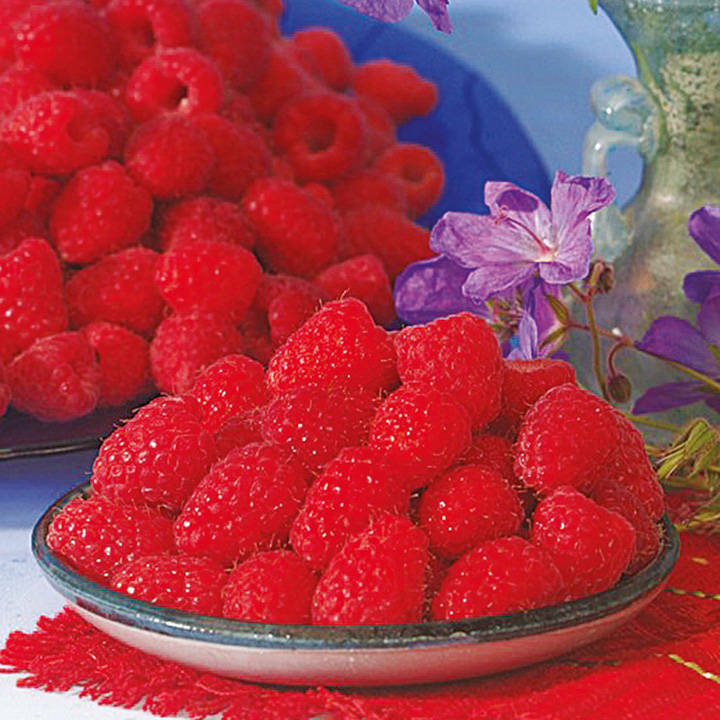 The berries have good flavour and few seeds, and keep relatively well. Plants boast excellent winter hardiness. 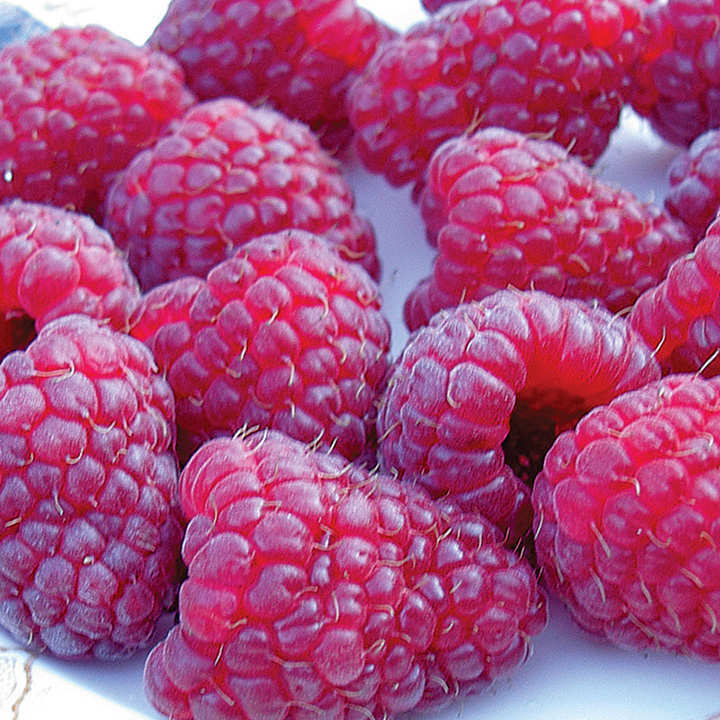 Joan J - An outstanding spine-free variety An abundance of large, bright, juicy berries, with a truly delicious flavour. Plus it comes out of the freezer tasting as sweet and delicious as the day it was picked. 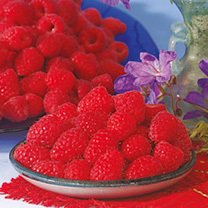 Harvest from late July/early August through to the first frosts! Plant 45cm (18") apart; 1.8m (6') between rows.